Did you know that your regular breathing pattern is almost definitely incorrect? An improper breathing pattern can cause detriment to your physical and spiritual body in many ways. Sleep patterns, stress and mood, digestion, brain activity and more can all be impacted if you breathe wrong. While an improper breathing pattern can cause all kind of impairment through nearly every system of your body, proper breath alignment has many positive effects. Almost immediately after self-correcting your breathing you will see a massive spike in energy. Your mood will improve and you will feel a greater sense of harmony with your environment. Just becoming conscious of your breathing has a ripple mindfulness effect , making you hyper-aware of your surroundings. These simple breathing techniques can be used anywhere, anytime. However, outside, inhaling the crisp air of nature is the ultimate place to practice your breathing exercises. You will instantly feel less anxiety and be embraced in a sense of oneness with the land and air. Past the actual implementation, you will see better quality of life, improved health, and refined happiness. We will teach you a way to breathe that is physiologically optimal for your body. There is an accurate way to breathe, you were just never taught it. It’s not complicated, and these techniques will become second-nature to you after just a few weeks of practice. You probably fall into one or more of three categories: over breathing, holding your breath, and shallow breathing. Know which category or categories you fall into? Let’s move on to our simple breath correction tutorial and optimize your body in just a few simple steps. Your breathing, in its current form, leaves a lot of room for improvement. Shallow breathing, breath holding, and over deep breathing are incredibly stressful for your body. Each of these can lead to a shortage of oxygen that causes an almost instant drop in your energy levels. Your first step to correct breathing is that you need to become conscious of how you breathe. There is a good chance you never put any thought into the indirect action of consuming oxygen. Pick a time of day: just as your wake up, over your morning coffee, as an afternoon break, or before bed. Take just a minute to examine how you are breathing. Are you breathing fast? Deep? Shallow? Just taking a few times a day to become aware of how you are breathing is a big first step. Once your become highly conscious of how you breathe, you will be able to make small corrections to your bad breathing habits. They will be replaced with a refined breathing method, and all the benefits that brings. Take this time to do a small reflection or meditation. If you are into binaural brain dosing, take this time to listen to a soothing binaural program from a reputable company like iDoser.com. Their audio sequences have been designed for whole body improvement during meditation or breath correction sessions. As you become aware of your breathing, reflect on the good that will come from improved habits, and the bad your improper breathing is causing. How bad? You might not want to know. Before we enter a corrective phase, you need to be hyper aware of the detriment bad breathing brings. Consider it your final goodbye to bad behaviors before we teach you the simple steps that will easily correct your breathing. Some of the most adverse effects of improper breathing is happening to your nervous system. Each breath you take has an immediate effect on your nervous system. A dysfunctional breathing pattern can disrupt the flow of oxygen and cause a tense body and much higher levels of stress. Your airways get tighter as your continue to breath improperly, causing your lungs to work harder. Your blood vessels then contract which can lead to higher blood pressure, causing your heart to work harder. All of this culminates in less energy being produced. Less oxygen is being delivered to the cells. The cells then have to prioritize survival instead of development. Oxygen is vital to every system of the body. Your brain alone uses 20% of the oxygen we consume. Oxygen shortage hurts stamina and causes tense, stiff, and tired muscles. Now that you are aware of how critical proper breathing alignment is, are you ready to learn the simple steps to correct your bad breathing habits? You take about 25,000 breaths a day. 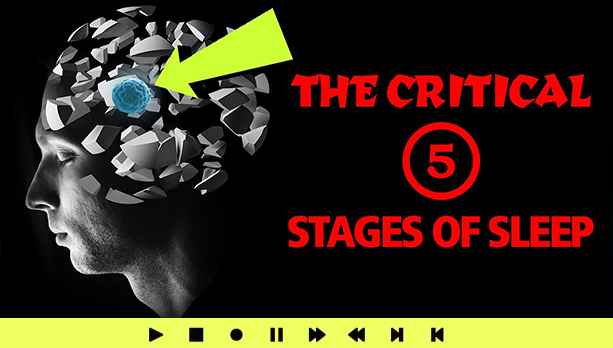 Here are the simple steps you need to get the most from every last one. First, we cannot recommended meditation enough. With high tech options like iDoser.com, brain alignment and audio induction are great ways to help maintain unity and spiritual oneness. 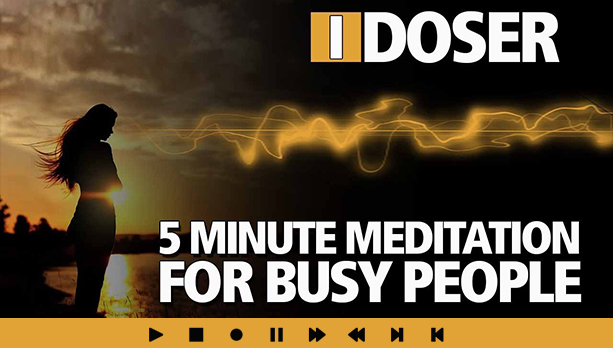 iDoser.com products integrate with meditation and breathing practices incredibly well. Be vigilant. You must be aware of your breathing daily, and regulate it as much as possible. This will seem list a hassle at first. It gets easier with time. Here are the 5 simple steps you need for instant breath alignment. Your breath should go in your nose and back out your nose. Simply put, your nose filters air. When you breathe a lot through your mouth, your get less filtered air. If you have restricted airflow, this is probably because you have been breathing through your mouth so long that your nose has adapted. Keep breathing through your nose and your pathways will correct in a few days. 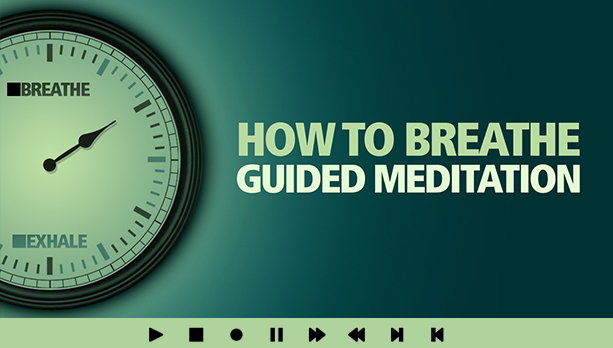 Take a long 3-second breath in followed by an equal 3 second exhale. The air you inhale should go all the way down to your stomach. This means your breaths should be nice and deep. This causes your diaphragm to massage your liver, stomach, and intestines and gives these organs a rhythmical balance. Relax. 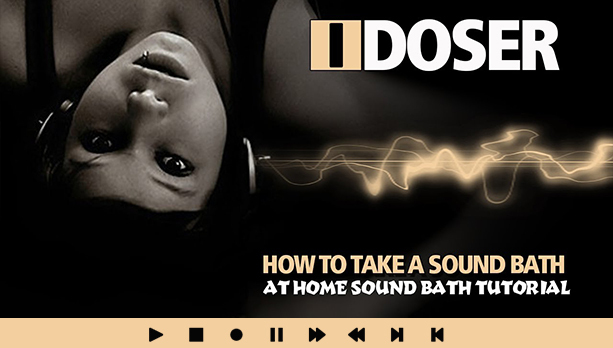 Put on some iDoser binaural induction audio and just enjoy yourself. Anxious breathing leads to lack of oxygen which causes stress on the body and brain. Here is where breathing and meditation start to align. The world pulses to a natural rhythm. The oceans, the seasons, the moon, and the planets all have rhythm and our breathing directly taps into the Universal Reiki Energy. The hormones in your body follow a natural rhythm, and our breathing leads the rhythm for our entire body systems. When we breathe in rhythm, our body critical systems follow. Coughing, snoring, sniffling, wheezing, and clearing your throat are sub-optimal breaths in disguise. Many of us breathe quicker as we talk. Find a nice, silent, comfortable place to sit and practice rhythmic deep breathing. These are just the basics, but they will add great improvement to your life. A refined breathing pattern will improve almost every aspect of your life. 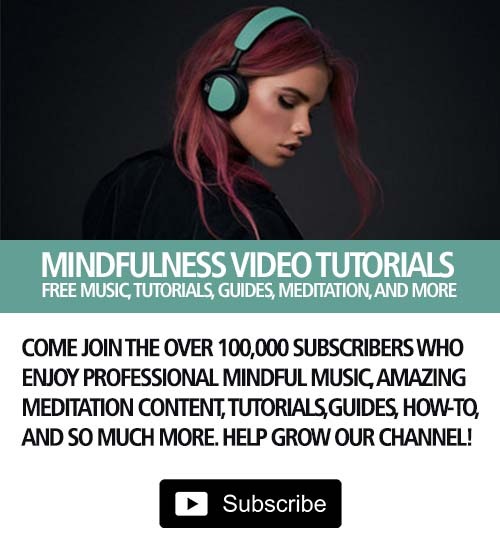 If you meditate, or are knowledgeable in binaural induction services like iDoser.com, then adding breath awareness and alignment to your routine is a logical next step. Enjoy life. Live and love. The universe is a beautiful place and we are each lucky enough to be able to take life-giving oxygen from our earth mother. The least we can do is be aware, and be grateful. finally. I am a spiritual guru and have been teaching proper breathing for years. This is a good first start but there are some more advanced techniques out here. I am posting to say how HAPPY I am that this is finally be discussed though. You almost never see it mentioned in meditative online tutorials. Or, at least not much importance and effects covered. Good job. I wasn’t aware that idose offered breathing timing audio? I will have to check it out. I have used their recreational products for going on 8 years now and have always liked their spiritual audio. Google breath timing. The whole 3-second in and 3-second out thing is something that needs to be practiced. It’s mentioned here, but it need to be with more emphasis I think. It’s important.